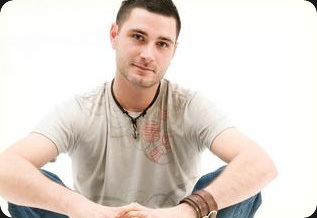 Switzerland based, New York native DJ/Producer Sean Tyas is something of a leading light in European trance. Currently ranked #45 in DJ Magazine"s Top 100 DJ Poll 2009, he was also earmarked by BBC Radio 1"s Pete Tong as a "buzzword in trance circles" head of his debut Essential Mix for the station back in February 2009 and hooked by industry power house Beatport has a "One to watch in 2009", leaving little surprise that 2009 went down as undoubtedly his biggest period to date. The DJ mag voting has closed and the winners are announced: Sean Tyas bumps up to the #45 spot among the world's best DJs! "The highlight of the year has been all the studio work," "Finally breaking my mould with tracks like 'Rulebook', 'Seven Weeks' and now my first techno track, which will be coming on Full Tilt." The DJ mag Top 100 DJs poll is one of most important polls in dance music. Voted solely by the fans online, it matters a lot to promoters and DJs worldwide and has a big influence on the popularity and booking of a DJ in the EDM scene.